My dad has lived in the United States for the past 10 years. He doesn’t speak a word of English. That’s why back in January, when my professor suggested The VOICE publish articles in Spanish, I didn’t hesitate before committing to translate our content. Like my dad, thousands of immigrants in this country decide to migrate with the purpose of finding a better, safer and more stable future for their children. Try parenting full-time, while working a strenuous job for over 40 hours per week. Try opening a bank account, paying a parking ticket or enrolling your kids in public school — in a different language. Even the smallest aspects of our lives as immigrants remind us that we’re not from here. My dad lives in South Florida, where everything is in Spanglish, a combination of English and Spanish. Even after 10 years, he can’t escape it. He calls me every week asking for help, whether it is mail from the health insurance company or a question about the bill from the cell phone provider. Some marketing material isn’t translated, and it takes twice as long to reach a Spanish-speaking customer service representative on the phone. The effort the government and some companies make to have their materials translated is formidable, but it often doesn’t suffice. Over 80 percent of Hispanics in North Carolina speak Spanish at home, according to a 2014 Pew Research Center article. Census data from 2016 indicated the Hispanic population in the state grew by 127,000 since 2010. 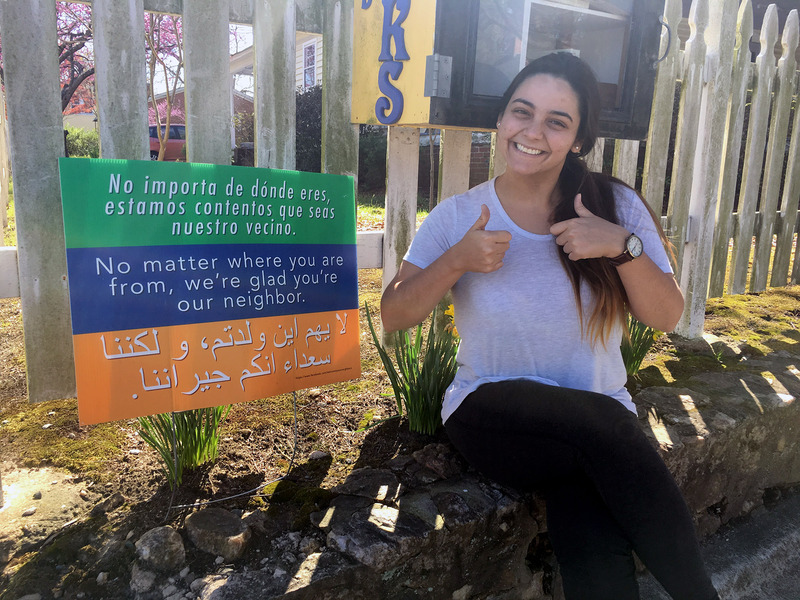 Although 56 percent of Hispanics in North Carolina were born in the United States according to Pew Research, the remaining 391,000 foreign-born Hispanics deserve to feel welcomed, too. That’s why we want to hear from you, our Hispanic readership. We want to investigate the issues in your communities, inform you about the resources available and tell your success stories in Spanish. While translating an article about Durham Public School’s achievement gap, I thought about my dad. He doesn’t know what the achievement gap is. I got the same feeling when I translated an article about a nonprofit working to fight homelessness. Gentrification, food deserts, the federal poverty line, the opioid crisis — If you weren’t born or went to school in the United States, these terms are not second nature to you. We’d like you to become familiar with these phrases and how they affect your community. Maybe we’re late in the game. Hispanics have been in North Carolina longer than the cohort of student journalists producing The VOICE this semester have been alive. But I know my dad is in a state of perpetual transition since he migrated, and I also know that for him, reading the news in Spanish certainly makes his life better. This entry was posted in Español, Hispanic Community, Opinion. Bookmark the permalink. Dear Maria Elena! great article about the needs of the Spanish speaking community needs. I work with the Durham Crisis Response Center and reaching the Hispanic or Latinx community is a challenge. I wonder if some members of your team would like to visit our office and maybe write an article about it. We offer several services for victims of sexual assault, domestic violence and human trafficking, all our services are free and confidential but letting the Spanish speaking community know about it is not easy. Can you help us?